Pix Fix cleans up images that have been damaged by noise and excessive JPEG compression. Based on some awesome proprietary algorithms, it works like magic. Pick an image or twenty, and let Pix Fix go to work. Each image is carefully reconstructed, removing as much noise as possible while retaining important details. Inspect a full preview of the results, download any you like, all for free. 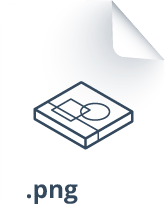 Easily convert bitmap files (JPEG, PNG, BMP and GIF) to vector images (PDF, SVG, EPS, AI). Great for making logos printable on T-Shirts or to embroider them on hats. Easily clean up and remove the background from your photos. Great for use on product images for your eCommerce store. Absolutely! Pix Fix is completely free to use and there are no ads. We created the site to scratch our own itch and to help you in your pursuit of the perfect image. How does Graphics Mode work? This mode is best suited to images that are rasterized vector art or scans of similarly styled drawings or prints. It gets rid of JPEG blocking noise, scan artifacts and other distortions, without leaving residual smudges. It also preserves edges, gradients and most narrow features. The underlying algorithm has not been published. At its core is a color median filter, a block-L1-minimizing generalization of the well-known scalar median filter. Applying such a filter to an image rounds out corners and destroys fine features, so a separate recovery step is needed. Filtered pixels that differ significantly from their original values are iteratively replaced with the distance-minimizing convex combination of neighboring filtered pixels, digging out corners and other destroyed features without re-introducing noise. This mode is best suited to photographs that have been degraded by excessive JPEG compression. The algorithm is an extension to the well-known anisotropic diffusion algorithm. To better handle JPEG blocking noise, we construct a JPEG distortion score defined as the ratio of the mean distances between neighboring pixels that cross 8x8 JPEG blocks, to those that are on the interior. For images with high scores, the diffusion coefficients between pixel pairs that span a JPEG block boundary are boosted to smooth these artificial edges out. What is the smoothing level? The smoothing level is a number between 1 and 10 that controls how much smoothing is done to your image. A level of 1 barely alters your image, while 10 does the most smoothing. Our default level of 5 is intended to be a happy medium suitable for most images. Each level corresponds to a set of carefully selected algorithm-specific parameters, reducing the number of knobs you have to fiddle with to a single slider. How can I best compress my results? Check out Recompressor.com. It lets you pick the perfect trade-off between file size and quality, with charts, data, and full online preview. It works great, it's free to use, and it runs entirely in your browser so your images are never uploaded. Sorry, there's no API currently available.